Thank you for considering a Walker education for your family! We understand and appreciate the careful financial planning that is required for investing in an independent school education. As part of our thorough admission process, our goal is to expose you to the long term value of a Walker School education. At Walker we seek to admit talented, motivated, college-bound students who demonstrate the ability to fulfill The Walker School’s academic requirements. We believe that economic diversity enriches our overall school community to the benefit of all our families. If you have any questions regarding affordability and the Walker School investment, please do not hesitate to contact our Financial Aid Coordinator, Patti Logan. We are dedicated to helping you determine the best options for your family. To download 2019-20 tuition payment plans and schedules, please click here. 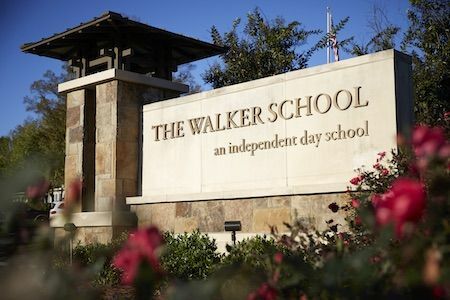 At The Walker School, our financial aid program is need based and is available to assist families in closing the gap between the costs of attending and a family’s ability to pay. Families who wish to apply for financial aid should submit an application online via the School and Student Service for Financial Aid (SSS) to determine whether they qualify for financial assistance. The Financial Aid committee will then review the most recent W2 and tax documents to determine the amount Walker is able to offer. In addition to financial aid, we offer several payment plans to accommodate your family’s budget and planning needs. We understand the importance of careful financial planning when considering investing in an independent school education. This web page will provide you with an overview of the financial aid process along with any additional expenses that you can anticipate. Please do not hesitate to contact us if you have any additional questions regarding affording a Walker education. Copy of your most recent 1040 income tax returns with original signatures. For any additional questions please contact Patti Logan at: 678-581-6891. To help you budget for the upcoming school year, we have provided a list of expenses that you can anticipate apart from the tuition. These expenses might vary depending upon grade level. For your convenience we have included lunch and the activity fee in the yearly tuition. Financial aid is based on the family’s ability to pay as demonstrated by the information submitted in the Parent Financial Statement (PFS). Both custodial and non-custodial parents (regardless of legal settlements) who are divorced, separated, or never married are expected to contribute to educational costs and are required to submit the PFS. In exceptional cases, where one parent cannot comply, the custodial parent should submit our Statement of Explanation Form. Lack of information from either parent may prevent the family from receiving financial aid. Financial aid applications for the following academic school year are available beginning November 1st. Financial Aid Award Letters for new families will be sent on the AAAIS (Atlanta Area Association of Independent Schools) common notification date, Saturday, March 30, 2019. Families have until the common response date, Thursday, April 19, 2019, to accept the award with the return of the financial aid award letter signed by the financially responsible parent. Financial aid awards are made for one year. Parents must complete a Parent Financial Statement each year and send it to the SSS in accordance with the application schedule outlined. Unless there is a significant change in financial circumstances, parents can normally expect the level of assistance to be continued from year to year if the student’s performance and conduct at Walker meet the expectations of the Walker Community. The Walker School is delighted to announce that we have secured funds specific to students of Latin American or Hispanic background. These funds are part of our overall financial aid budget. Any student with a Latin American or Hispanic background that applies for financial aid will be considered for these funds. If you are interested in taking out a loan to cover tuition costs, you may apply for a low-fixed-rate education plan from Your Tuition Solution. To learn more about the program and to apply, please visit www.yourtuitionsolution.com. When prompted to “find your school,” simply enter The Walker School’s phone number, 770-427-2689, when completing the application. Your Tuition Solution is offered by Springstone Financial, LLC and is independent of The Walker School. For more information please call them directly at: 800-920-9777. As a member of and in accordance with the guidelines outlined by the Georgia High School Association (GHSA), Walker does not provide merit-based scholoarships to students.